Heavy duty vertical weatherboard (VWB) panels are a more expensive panel. Heavy duty vertical weather board panels are made up from 18 ex22 x 125 feather edge boards nailed to 65 x 35 rails to the rear of the fence panel, with a twice weathered (apex) capping, all pressure treated Brown. Our VWB panels are manufactured at our Manchester depot. If you require further information on our Heavy Duty Vertical Weatherboard Panel give sales a call on 01942 720777 or email us on sales@nwtt.co.uk. 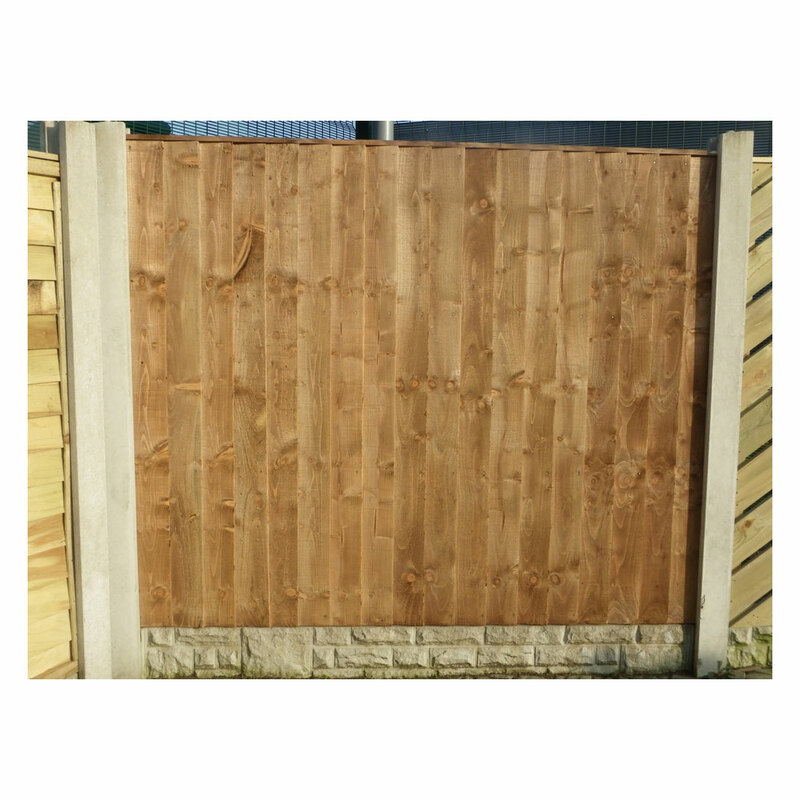 I have ordered fence panells before off this company and they are of a high quality. Very nice staff to speak to, and will be ordering more off them.